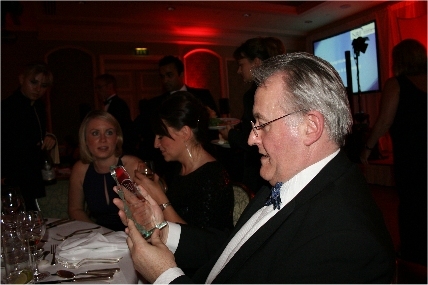 The National Recruitment Federation Awards 2009 was really a great night. It was the celebration of the recruitment industry and it was really amazing how positive it all was. Recruitment in Ireland has gone through its worst years for decades. After excellent Recruitment Conference earlier this year, the Awards Ceremony to be even more uplifting, one couldn’t really expect. It is the people in the recruitment industry in Ireland, the National Recruitment Federation members, and all their representatives present last Friday, that made it all as great as it all was. Elaine Roddy, NRF Director deserves a special thanks for organizing it all (Yes I was there a few hours earlier to check how the things are going with the organization! :)). Frank Collins, NRF President – made the shortest speech possible, making sure the dinner doesn’t get cold. On a serious side Franks work with the NRF shows outside of the NRF organization, making him a as respected person in the recruitment industry in Ireland as he is. 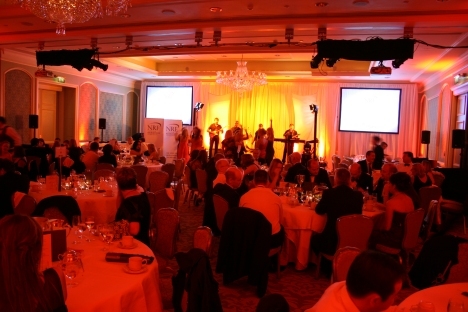 The panel of judges were made up of Sean O’Meara, Former Chief Executive of Young Advertising; Kirsty Kirkwood, Former European Head of HR at State Street Ireland and Mark Fielding, CEO of the Irish Small & Medium Enterprises Association, (ISME). Ex-MD of Computer People Ltd, Grainne Martin was a new addition to the panel this year as a recruitment advisor. Made it the most clear by defining the ‘Passion’ as what made the largest impression on him. He was amazed by the quality of shortlisted companies this year, and admitted it was really hard to choose one in each category. 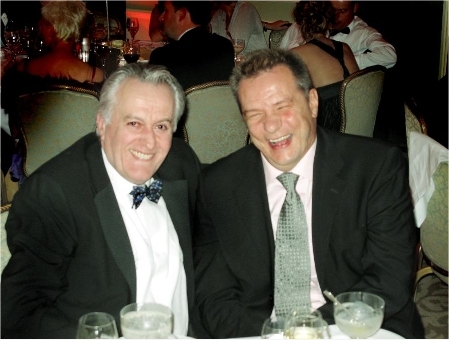 It was also the eve of the Lisbon Treaty Referendum that night, and we had a chat about that. I was shocked the day later realising that Marks prediction of the outcome of the referendum was absolutely correct – he predicted the percentages exactly as the results published a day later! Well done!!! As a true night out – National Recruitment Federation Awards 2009 ceremony culminated with a live music and dance… With most of the cameras way out of focus to capture any of that! Life must be good in the Recruitment sector in Ireland! send your monthly invoices to the employers! Now how to read those numbers? Simple! Alexa.com gives the numbers from 1 to the most popular site on the web (Google.com). The bigger the number the lower the site is on the Traffic Rank list. That tells you that advertising your job on even this blog will have a far greater reach than advertising on GreenJobs web site. 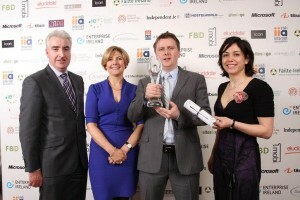 I am really interested who sits on the panel of judges for the Irish Internet Association – Internet Entrepreneur Award? Worky.com is already more popular than JobsBlog.ie! And has more jobs. And is a really nice looking web site. And is backed up by Ray Nolan, who KNOWS what he is doing! 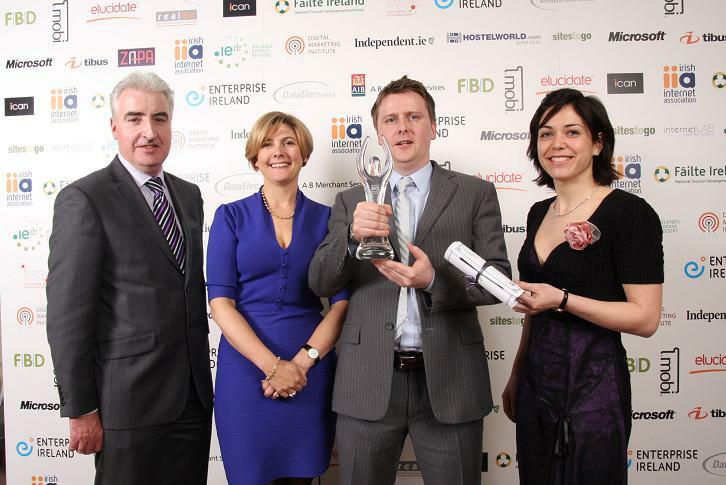 So why has Irish Internet Association decided GreenJobs better than Worky? In the year where two thirds of recruiters have lost their jobs IIA decides that the best Irish Internet Entrepreneur is a Jobs Board owner? In a year that recruitment as such almost did not exist (compared to any other year in modern Irish history)? Was there no one else?